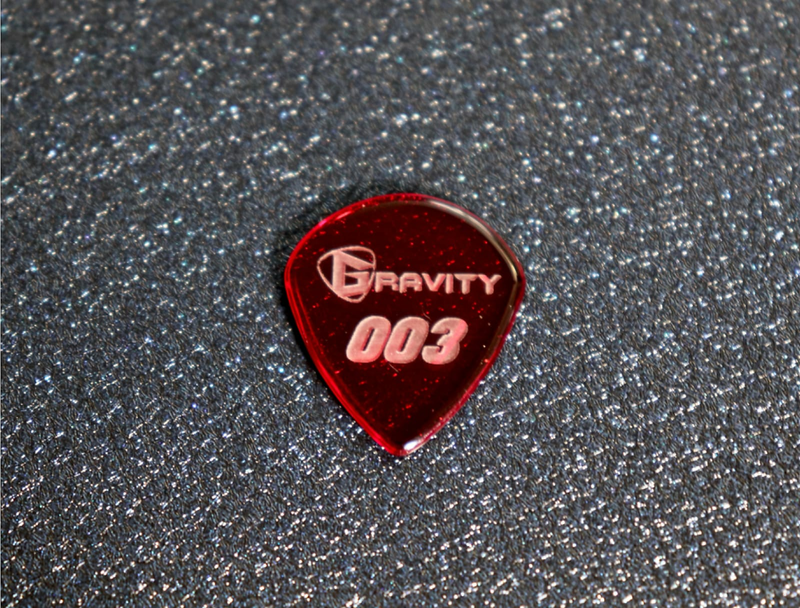 The G003P takes it's cues from the classic Jazz III pick shape produced from cast acrylic material featuring a 1.5mm thickness and polished deep red finish offering excellent grip, attack, note definition and accuracy for a pronounced smooth singing tone. 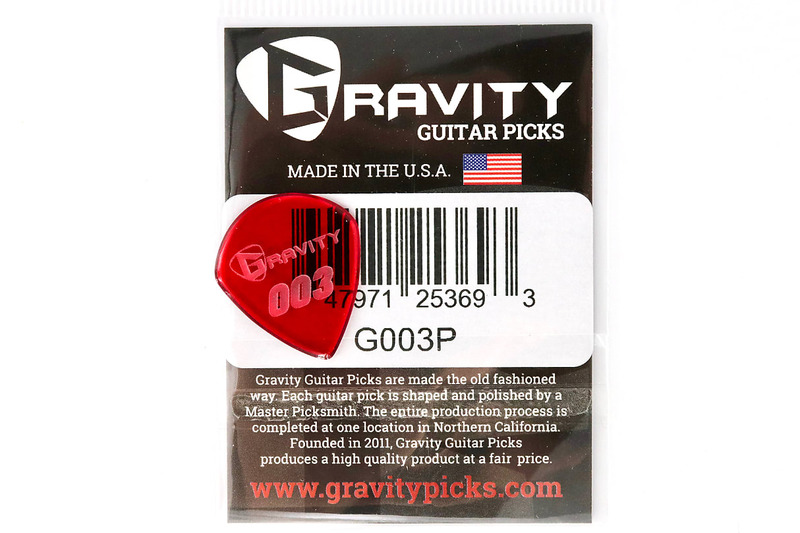 Gravity Guitar Picks are handcrafted in the USA using Acrylic materials that are shaped and polished by a Master Picksmith. 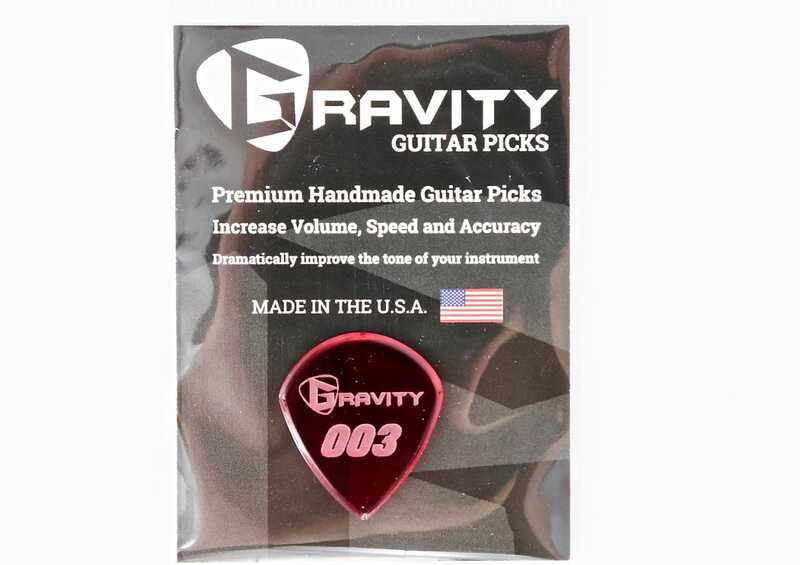 Gravity Guitar Picks Acrylic composition provides a louder, brighter more pronounced tone with an excellent grip, smooth finish and exceptional string release. Hear what you've been missing and upgrade your playing experience.